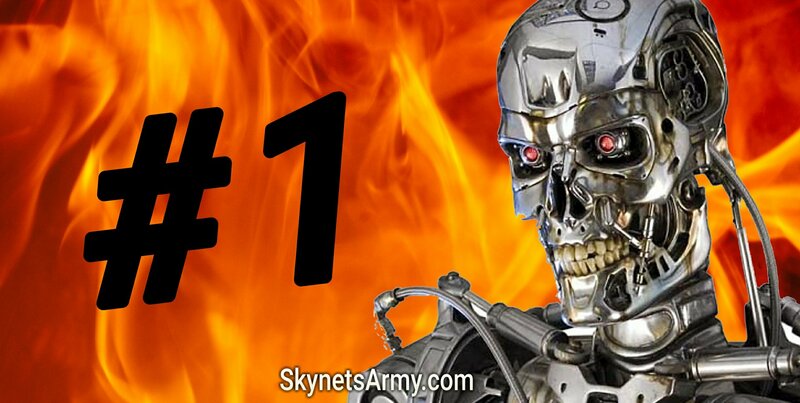 For the Terminator fans who indeed got in, you helped contribute to a final box office total of £448,162 (with a per screen average of £1,012), which was 17% of yesterday’s UK box office gross. The one day box-office gross of TERMINATOR 2: JUDGMENT DAY 3D actually beat other classic re-released films including “Jurassic Park 3D”! 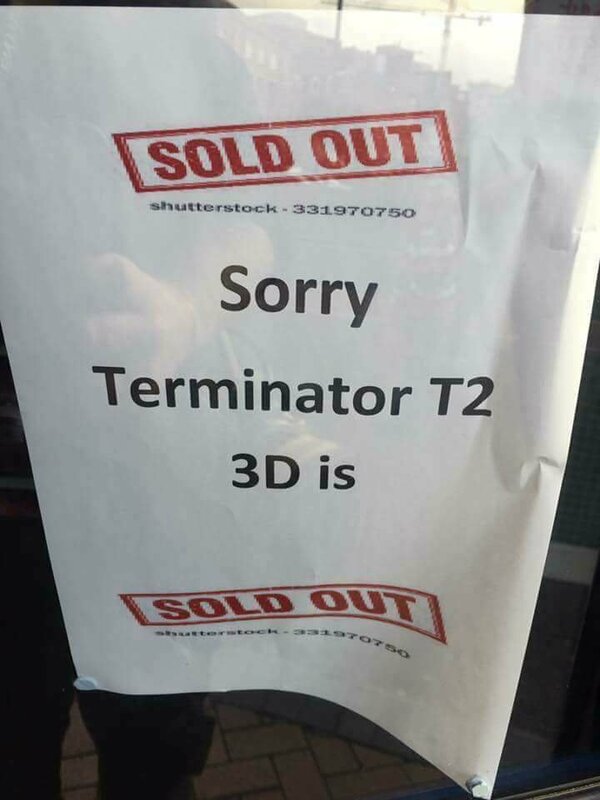 In fact, it did so well, T2 in 3D will continue to play on the big screen in UK cinemas this weekend, with an additional 160 sites booked for encore shows! 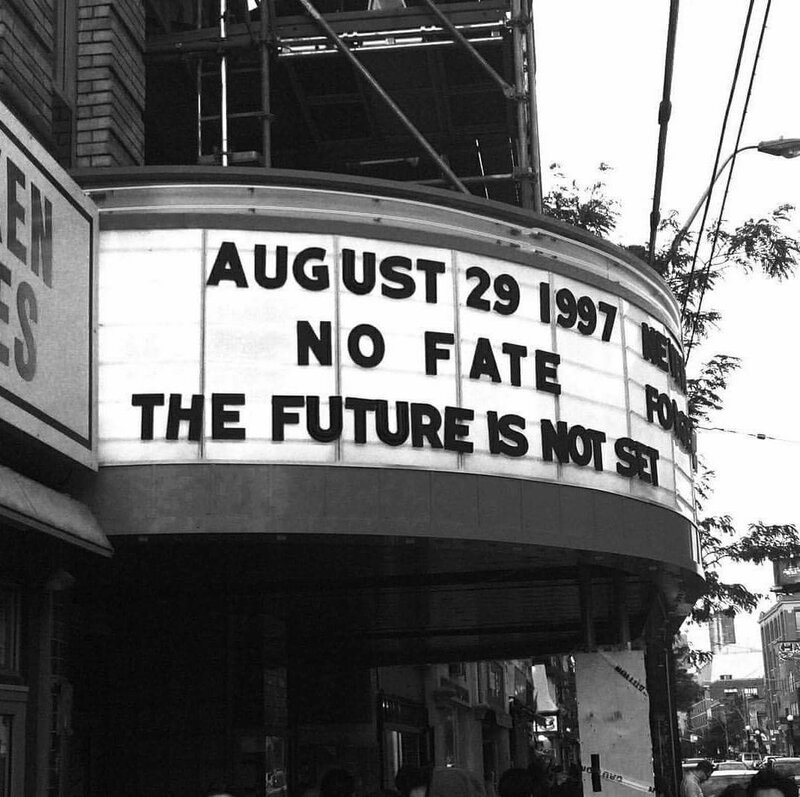 Previous PostPart Two: What did the fans think of “TERMINATOR 2: JUDGMENT DAY 3D”!Next PostLionsgate postpones the release of “TERMINATOR 2: JUDGMENT DAY” on Home Video. gREAT NEWS.That sold out sign is fake though!Stock image and the writing is typed on at the wrong angle! Finally ! Good box office news ! I saw it twice! Well worth the money spent! Now ship me my Endo Arm!